The Ko’olau Forest Reserve runs for about 10 miles paralelling the highway, extending inland to an elevation of about 4,000 feet. Roads connect an elaborate system of tunnels and irrigation ditches, many dating from the late 1800s. 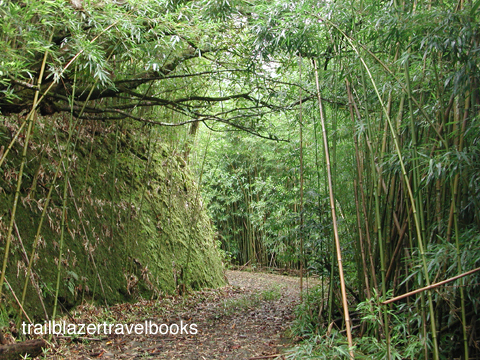 For directions to the Waikamoi Ridge Nature Trail, go to page 123 of the Maui Trailblazer guidebook.